Paine, Hyde Jr. (ed.) 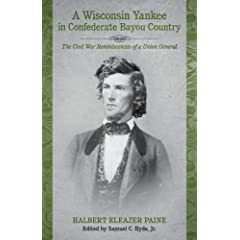 : "A Wisconsin Yankee in the Confederate Bayou Country: The Civil War Reminiscences of a Union General"
A Wisconsin Yankee in the Confederate Bayou Country is the Civil War memoir of Brevet Major General Halbert E. Paine, edited by historian Samuel Hyde. Paine begins his account with his appointment as colonel of the 4th Wisconsin infantry. Initially assigned to the eastern theater, the 4th's first campaign involved securing Maryland's Eastern Shore. From there, Paine and his men were transported by sea to Ship Island, Mississippi as part of Brigadier General Thomas Williams's brigade of Benjamin Butler's command. After the Crescent City's fall in April 1862, two half-hearted attempts at capturing Vicksburg failed. Paine missed the Battle of Baton Rouge, but after Williams was killed there, he assumed command of the city's defenses. The year 1863 saw the Bayou Teche and Port Hudson campaigns, with the colonel losing a leg during the latter in the June 14 assault on the Priest Cap section of the Confederate defenses. His reminiscence ends in August 1863, although Paine, upon recovery, returned to duty in the eastern theater. A mixture of narrative and diary formats, Paine's detailed and sometimes humorous recounting of his Civil War military career centers on his time in Louisiana. He concentrates on military affairs, but also devotes a fair amount of space to his personal relationships, especially the near constant clashes with his superior Thomas Williams, one of which resulted in Paine's arrest after a refusal to obey orders allowing the return of escaped slaves. A lawyer, the Wisconsin colonel took great pains to present his case against Williams to the reader, and reproduced reams of orders in support of his cause [for publication, Hyde excised those of less immediate relevance]. He also wasn't the first Civil War officer to complain of the irregular tactical formation invented and insisted upon by Williams, the "Order of Combat". Paine's descriptive account of his stint as commander of the Baton Rouge defenses is one of the informational highlights of the book. Other subjects covered extensively include the preparations for the river campaign against New Orleans, the securing of the city's northern front after its fall, and the 1863 Bayou Teche and Port Hudson campaigns. Beyond the trimming mentioned above, the editorial intervention was light. In addition to a fine introduction, Hyde does provides some endnotes for the text; however, a much more thorough annotation of the material would have significantly enhanced the study's value. 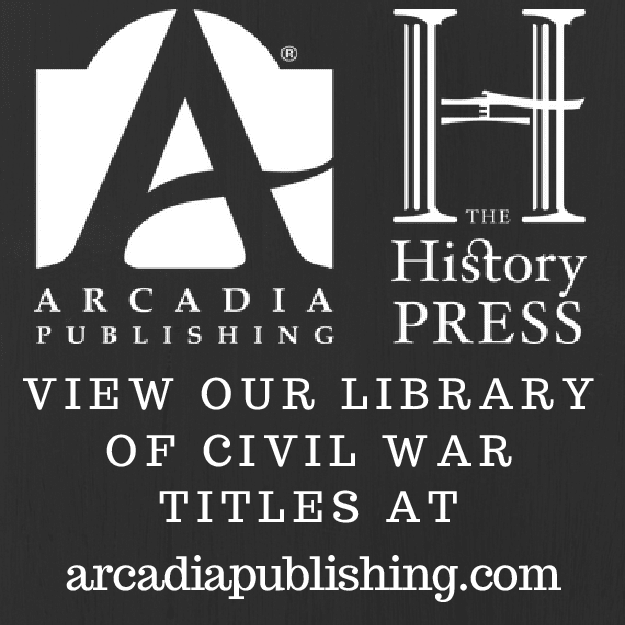 Editorial wishes aside, A Wisconsin Yankee in the Confederate Bayou Country is an important primary source document for the study of the Civil War in Louisiana, and Hyde and LSU Press are to be commended for their efforts in bringing it to publication. annotations, indexes, illustrations, and other important materials. These records, made by actual participants and observers, are increasingly recognized as valuable to researchers of America’s great national climacteric." The first volume in the Seeing the Elephant: Southern Eyewitness to the Civil War series will be an edited translation of Justus Scheibert's Seven Months in the Rebel States during the North American War, 1863 [Translated from the original German by Joseph C. Hayes, edited and with an Introduction by William Stanley Hoole, New Introduction and Index by Robert K. Krick], to be published in November 2009. Taaffe: "Commanding Lincoln's Navy: Union Naval Leadership During the Civil War"
Civil War readers will recall Stephen R. Taaffe as the author of Commanding the Army of the Potomac1. While that book assessed corps leadership in the North's chief army, the author's latest study, Commanding Lincoln's Navy, takes to the seas with an overview and analysis of the performance of the navy's squadron commanders. Taaffe's prose, pleasant and informative, will appeal to both specialist and general audiences, and his narrative is well organized, devoting roughly comparable attention to the major naval squadrons [North Atlantic, South Atlantic, East Gulf, West Gulf, Mississippi, and West India2], although it should come as no surprise that the arguably more important Atlantic and Mississippi fronts are given greater emphasis. The squadron commanders themselves are dealt with in a comprehensive manner. Each is accorded a short biographical sketch, a service history outline, and an analytical summary. Additionally, Taaffe emphasizes the roles seniority and intra-service politics played in the appointment, support, and/or removal of squadron commanders. In fact, the author is quite complimentary in his discussion of the political and military management performance of Navy Secretary Gideon Welles (and Asst. Secretary Gustavus V. Fox)3. The manner in which Congress, at the instigation of the navy secretary, dealt with seniority -- a pressing issue which threatened to saddle the navy with superannuated leadership -- was perhaps the war's preeminent, and most underrated, example of direct legislative action facilitating the means of appointing the best and most energetic officers in a given service, regardless of previous rank. Taaffe also makes a strong case that Welles demonstrated marked growth as a cabinet secretary, with his appointments achieving demonstrably greater results over time. He could also be prickly and unfair in his treatment of his naval commanders, but the author maintains it was rarely a case of mere personal spite. From the bibliography, one finds the usual primary and secondary source material composition. The author consulted the unpublished papers of most of the book's major players. In presentation, the study could have used more illustrations, as maps and photographs are few. At a glance, Commanding Lincoln's Navy might appear similar in nature to Craig Symonds's Lincoln Prize-winning study published last year, but they are actually very different works that complement each other nicely4. 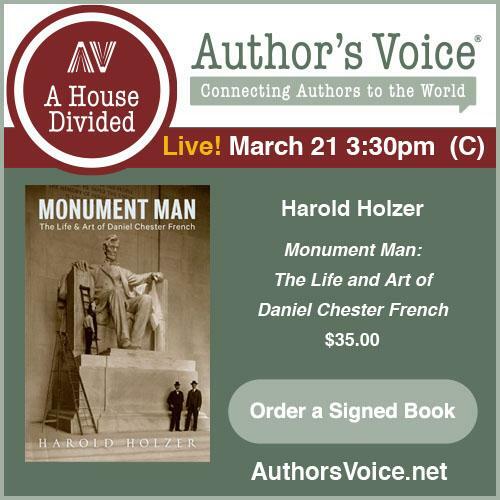 Both books are equally worthy of a prominent place in the Civil War naval literature. Stephen Taaffe's Commanding Lincoln's Navy is an instructive narrative summary of the wartime roles of the Union navy's squadron commanders and the political world that surrounded them. It should also prove to be a useful reference guide. Recommended. 1 - Commanding the Army of the Potomac (Univ. Press of Kansas, 2006). An examination of the 36 officers that came to lead corps in the Army of the Potomac. 2 - The Pacific Squadron is dealt with only in passing. A curious omission, as it had some interesting duties. 3 - According to Taaffe, with a few notable exceptions [e.g. the promotion of Lincoln favorite John Dahlgren to South Atlantic Squadron command], the president's oversight and interference with Welles was minimal. Taaffe also seems less concerned than other historians with Fox's self-serving nature. 4 - Review of Lincoln and His Admirals (Oxford Univ. Press, 2008). Symonds focuses on Lincoln, and his relationship with Welles and his admirals, to a far greater extent than Taaffe does. Taaffe's primary interest lies with Welles and the squadron commanders. In fact, one might argue that Taaffe's characterization of Lincoln as a more distant manager of naval affairs to be in conflict with the notions of Symonds on the matter. 1. Lincoln's Censor: Milo Hascall and the Freedom of the Press in Civil War Indiana by David W. Bulla (Purdue Univ. Press, 2008). Journalism professor David Bulla's book examines government attempts to stifle public opposition in Civil War Indiana, where district commander Gen. Milo Hascall issued a highly controversial general order equating public dissent in print or word with treason. Not that it would be unusual, but I don't recall this book getting much attention when first published back in early '08. 2. Andersonvilles Of The North: The Myths and Realities of Northern Treatment of Civil War Confederate Prisoners by James M. Gillispie (University of North Texas Press, 2008). Published late last year, Gillispie's book takes on an important subject, the realities of Civil War prisons vs. the agenda-driven memory fights conducted during the fifty year period following the war. I will be posting a snapshot review sometime in the near future. 3. Ironclad Down: USS Merrimack-CSS Virginia from Design to Destruction by Carl D. Park (Naval Institute Press, 2007). A beautifully illustrated book detailing the design and construction of the Virginia. This is a keeper for anyone interested in Civil War navies. Johnson: "A Gallant Little Army: The Mexico City Campaign"
As campaign studies go, Timothy D. Johnson's A Gallant Little Army: The Mexico City Campaign (University Press of Kansas, 2007) is quite good. The strategic and operational conceptualizations of the campaign are clear and well thought out, while the tactical details of the battles are sufficiently outlined. Johnson's assessment of Scott's military performance is judicious, and mostly in line with convention. He reasonably defends the general's operational pauses between battles -- on both political and logistical grounds -- but is highly critical (rightly, I believe) of the lengthy truce that was negotiated prior to the final stage of the Mexico City campaign. The author, a Scott biographer, also examines the general's personal difficulties with his superiors and various subordinates (several of whom attempted to assume undue credit for the campaign's ultimate success). What hampers the study most, keeping it from something approaching a definitive level, is the one-sided point of view. The Mexican military remains a shadowy 'other' force, leaving the reader often puzzled at how the greatly superior numbered Mexican defenders were driven repeatedly from fortified positions, suffering enormous losses in killed and wounded compared to the American attackers. I've read the arguments put forth elsewhere, but I wanted fresh insight from Johnson. If possible, a really good numbers and losses analysis also remains in order for the campaign. Civil War readers will appreciate the book's focus on the many officers (mostly lieutenants and captains at the time) who would later achieve prominence in the sectional conflict. On the flip side, one often considers the loss of many well regarded officers [regular artillery captain Simon Drum comes to mind] who would likely have gained high positions during the Civil War had they lived. The book's maps [adapted from Donald Frazier's reference book The United States and Mexico at War: Nineteenth-Century Expansionism and Conflict] are a mixed bag. The originals are qualitatively excellent, but, in reproducing them for this book, the publisher often shrunk the maps so much in size that vital details were rendered indistinct, even for readers with good eyes. However, the positives of A Gallant Little Army far outweigh the negatives. Flaws aside, Johnson's book is clearly the best Mexico City Campaign study to date. 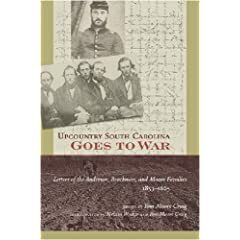 "Upcountry South Carolina Goes to War: Letters of the Anderson, Brockman, and Moore Families, 1853-1865"
Upcountry South Carolina Goes to War: Letters of the Anderson, Brockman, and Moore Families, 1853-1865 (University of South Carolina Press, 2009) is an edited collection of over a decade of correspondence between members of three upper class Spartanburg County, SC neighboring families [a nice map of their home "territory" is included, as well as a number of illustrations throughout]. The book's introduction, by editor and retired educator Tom Moore Craig and historian Melissa Walker, provides a nice background summary of the region's settlement by Scots-Irish Presbyterians. Following the introduction is a short methodology section and family genealogy. The 124 letters, numbered and annotated by Craig, comprise the body of the work. Appendices include a transcription of the personal conduct rules at one of the academies attended, an inventory from the plantation ledger book of Thomas M. Craig, Sr., and a labor contract with former slaves. The pre-war correspondence is often to and from family members away at school, with readers obtaining a view of prep school and college life on one hand and well to do piedmont South Carolina home life and society on the other. The wartime letters are predominately to and from three young men, two Moores (Andrew Charles and Thomas John) and John Crawford Anderson. Civil War writings from the home front paint a telling portrait of the region's changing (inexorably for the worse) fortunes. Insights into the families's master-slave relationships can also be gained. The collection contains two very rare slave letters written by body servants at the front. Handsomely bound and ably edited, Upcountry South Carolina Goes to War is a valuable primary source collection, one that chronicles the jarring social transitions and personal losses experienced by many southern families -- from antebellum prosperity to secession, Civil War, and post-war rebuilding. 1. The Flags of Civil War Missouri by Glenn Dedmondt (Pelican, 2009). See my review of The Flags of Civil War Arkansas. This new book highlighting Missouri Confederate, militia, guerrilla, and State Guard emblems sports the same content style. 2. In the Cause of Liberty: How the Civil War Redefined American Ideals edited by William J. Cooper Jr. and John M. McCardell, Jr. (LSU Press, 2009). 3. Sacred Memories: The Civil War Monument Movement in Texas by Kelly McMichael (Texas State Hist. Assoc., 2009). Gallagher (ed. ): "The Shenandoah Valley Campaign of 1864"
As with the other works from the Military Campaigns of the Civil War series, The Shenandoah Valley Campaign of 1864's subject mix serves a broad range of reader interest in the Valley Campaign. A number of biographical articles were included, with William Bergen seeking to raise Horatio Wright out of the depths of obscurity [is he really that neglected? ], while Joan Waugh contributes a biographical sketch and summary of Charles Russell Lowell's role in the campaign. In the book's final chapter, the wartime services of the Patton family of Virginia Confederate officers are summarized by Robert Krick. Generalship is another theme examined, with series editor Gary Gallagher penning a comparative analysis of the performance of Valley Campaign foes Jubal Early and Philip Sheridan. Given the disparity in resources, Gallagher gives Early favorable marks overall, in spite of some serious tactical mistakes. Sheridan, blessed with greatly superior numbers and superb cavalry, similarly met most of the goals he set out to achieve. However, Gallagher speculates that if a role reversal were possible, General Early would have outperformed Sheridan. In the next generalship piece, Joseph Glatthaar assesses Grant as theater commander, weighing the positives and negatives of Grant's choice to accompany the Army of the Potomac in person. Keith Bohannon takes a narrower look at the Battle of Cedar Creek, focusing on the controversies (during the war and beyond) surrounding blame for the Confederate defeat -- the famous "fatal halt" versus the "bad conduct" of John B. Gordon's division. The public spat between Early, Gordon, and their respective proponents is outlined, with the author offering his own conclusion. Like the much more famous internecine squabbles over Longstreet's conduct at Gettysburg, it's another representative example (finely laid out by Bohannon) of the dynamics of post-battle recrimination between Civil War officers. The 'battle pieces', William J. Miller on Tom's Brook and Robert E.L. Krick on Fisher's Hill, are excellent articles, presented in far greater depth and detail than those typically found in an essay compilation. The cartography of George Skoch, here and with other chapters, help the reader follow the action. No 1864 Valley Campaign essay collection would be complete without an article about the campaign's effect on the presidential election that would soon follow. Andre Fleche takes a fascinating and original look at the Democratic press's reaction to the "hard war" aspects of the campaign, and how they sought to discredit the policy as a self-defeating strategy. William Thomas's article follows the campaign from the viewpoint of the civilian population (white and black). One of its more interesting facets is its use of 1860 economic census data as a baseline to gauge the degree of destruction wrought by Sheridan's men. His findings contend that the level of devastation directed toward civilian targets was far less widespread than later accounts would suggest. The idea of highly selective economic destruction has been explored before, but Thomas's contention that homes were routinely spared is undermined by his own Rockingham County data table [pg. 249] that lists two burned dwellings for every three barns (30/45), and almost a one to one ratio to mills (30/31). Regardless, the effects of the defeats and their accompanying property losses on the pro-Confederate civilians remained a mixture of demoralization and hardened resolve (more of the latter), a conclusion supported by Aaron Sheehan-Dean's analysis of Virginia soldiers' reaction to Sheridan's overpowering Valley campaign. The Shenandoah Valley Campaign of 1864 is a fine set of scholarly essays, well selected to be both complementary in their perspectives and minimal in their overlap. The ninth volume of North Carolina's Military Campaigns of the Civil War series, this book is easily the thickest tome from the entire run. It's also one of the very best. Oertel: "Bleeding Borders: Race, Gender, and Violence in Pre-Civil War Kansas"
Part of LSU Press's Conflicting Worlds series, historian Kristen Tegtmeier Oertel's Bleeding Borders: Race, Gender, and Violence in Pre-Civil War Kansas takes on a decidedly unconventional approach to the study of the "Bleeding Kansas" conflict. With it, she places her own stamp upon the recent surge in Civil War era race and gender role studies. Oertel's work is organized thematically in five self-contained chapters. The first takes the reader back long before the better studied Kansas strife of the mid to late 1850s, integrating the region's Indian tribes into the race-based ideological discussion, one that the previous literature often limited to black and white. 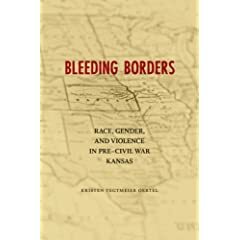 It examines how decades of religious, economic, and intermarriage between whites and Indian groups affected the notions of white supremacy in Kansas that would be so bitterly contested during the years immediately preceding the Civil War. Oertel's writing agrees with much of Nicole Etcheson1's contention that both sides had similar priorities in terms of white liberty, but differed in the means by which it would best be achieved. Chapter two highlights those small but influential groups -- white, black, and Indian -- that generally opposed the stricter proposals addressing the social and political establishment of white dominance in the territory. The third and fourth chapters propose distinct sectional differences in gender roles. The author argues that northern women involved themselves in social and political causes to a higher degree than southern women, who found themselves part of a more restrictive patriarchal system. In her book published earlier in the year, historian Nina Silber2 formulated a similar argument. With issues like women's rights and certainly anti-slavery agitation, this argument appears persuasive, but it seems more a matter of degree, with the women of both sections having far more in common culturally than not. Chapter four outlines differences in masculine ideals between the sections. Southerners generally acknowledged northern superiority in commercial enterprise, but decried their reluctance to use violence in defense of their ideology and personal honor. Northerners, in turn, mocked the southern male's apparent lack of self control, likening it to behavior more bestial than gentlemanly. Of course, "Bleeding Kansas", John Brown's Raid, and the Civil War would help sort all this out, most likely to the entire satisfaction of none. The arguments earlier raised in chapter one lead directly into the book's fifth and final chapter, which studies competing fears about and efforts in limiting miscegenation. Pro-slavery adherents believed that abolitionists sought to create a society that freely mixed (socially and sexually) the races, while the latter countered that masters' frequent fathering of mixed race children with their slaves similarly threatened a racially 'pure' society. Other historians have examined, by book or article, the broad themes outlined above (and Oertel explicitly acknowledges and critiques their pioneering work), but their scholarly application to "Bleeding Kansas" is largely an original contribution on the part of the author3. While accessible reading, due to its subject matter Bleeding Borders will probably appeal most to an academic social history audience, and is a deserving candidate for placement in reading lists for upper division university courses. 1 - Bleeding Kansas: Contested Liberty in the Civil War Era (Univ. Press of Kansas, 2004). 2 - Gender and the Sectional Conflict by Nina Silber (UNC Press, 2009). 3 - Another book length scholarly publication of similar focus of interest is Kansas Territorial Reader (Kansas State Historical Society, 2005), a wide ranging essay compilation edited by Virgil Dean. 1. A Wisconsin Yankee in the Confederate Bayou Country: The Civil War Reminiscences of a Union General by Halbert Eleazer Paine, ed. by Samuel C. Hyde, Jr. (LSU Press, 2009). Paine's writings [compiled and edited by Hyde, with some annotation] are useful as source material for the 1862-1863 campaigns in southeast Louisiana and Mississippi (he lost a leg at Port Hudson). 2. The Shiloh Campaign edited by Steven E. Woodworth (SIU Press, 2009). I put together a short preview of his book back in February. I haven't read any of the articles yet but the presentation looks pretty spare overall, with no photos and only light cartography -- e.g. the essay detailing Stuart's Day-One defense of the Federal left has no map at all. I hope Woodworth rejoins Civil Warriors someday; I liked his posts. 3. The Unpopular Mr. Lincoln: The Story of America's Most Reviled President by Larry Tagg (Savas-Beatie, 2009). I think the broad range of fronts criticizing and attacking Lincoln during his presidency have been pretty well documented in the literature, so it appears the original angle that Tagg is asserting is based upon his bringing it all together in a single volume. Howell, ed. : "The Seventh Star of the Confederacy: Texas During the Civil War"
Civil War Texas students have been treated to several first quality essay compilations within the past fifteen years. 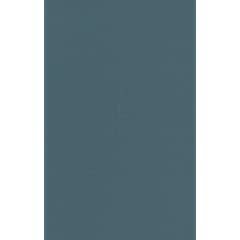 Ralph A. Wooster's Lone Star Blue and Gray: Essays on Texas in the Civil War (Texas State Historical Association) was published in 1995, and last year historian Charles Grear and Univ. of Arkansas Press released The Fate of Texas: The Civil War and the Lone Star State. 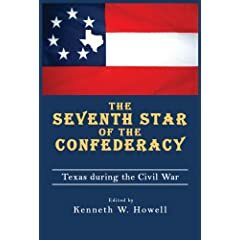 Kenneth W. Howell's work on The Seventh Star of the Confederacy: Texas During the Civil War was concurrent with Grear's, and in turns out the two volumes complement each other quite well. While Grear, who contributed an essay to Howell's newly published book, focused his study's attention away from the battlefield, the seventeen essays assembled by Howell are finely balanced, almost equally divided between the military and socio-political arenas. The first three essays -- Alwyn Barr's evaluation of the recent literature's scholarly impact, Archie McDonald's broad outline of the Civil War in the state, and James Smallwood's summarization of the Texas secession movement -- together form a good introduction for newer readers and a solid refresher for others. One of the more educational specialized essays is Linda Hudson's study of the military First Degree Knights of the Knights of the Golden Circle. Long assuming the Knights were more of a shadowy organization, I was surprised at the scale and openness of the KGC's influence in Texas military and political spheres. Several of the military themed articles are also useful adjuncts to excellent book length studies. John Gorman's examination of enlistment patterns in the frontier units dovetails nicely with David Paul Smith's Frontier Defense in the Civil War: Texas' Rangers and Rebels (TAMU, 2002). Similarly, Donald Willett's account of the brief Union occupation of Galveston expands upon a segment of Edward Cotham's earlier work which emphasized the Confederate recapture of the port. The military coverage is unusually comprehensive for an essay compilation, with only slight overlap. Mary Jo O'Rear writes about the August 10, 1862 Confederate attack on pro-Union German settlers at the Nueces River. Edward Cotham examines the course of Union failure to subdue the state, while concentrating on Sabine Pass. One of the best military articles was penned by Charles Spurlin. Beginning with the securing of the Rio Grande river mouth, his essay details the Union advance north along the Texas coastline, ending at Matagorda Island. Charles Grear's glimpse into the nature of the cooperation between Indian and Confederate forces was intriguing, leaving me with the desire to learn more*. Attitudes of Confederate Indians toward the Union's black troops and Confederate regard for their Indian allies forms a fascinating triangular relationship worthy of further study. Finally, Gary Joiner writes about the contributions of Texas cavalry to Confederate success in the 1864 Red River Campaign. Smallwood's second article deals with Camp Ford, a Confederate training camp that later became their largest POW camp in the Trans-Mississippi. Other chapters provide the reader with a brief analytical overview of the effectiveness of Texas's wartime governors, a look at the public assistance program the state provided for soldier families, and snapshots of the lives of black slaves during and after the war as related through interviews and literature review. Additionally, while much of the economic oriented Civil War writing dealing with the Lone Star State focuses on the cross border cotton trade, the article in Howell's book instead delves into beef contracting. Finally, Bill Stein's contribution to Howell's book looks at wartime dissent in Colorado County and the government's response. As one can see, the scope of The Seventh Star of the Confederacy is broad reaching. With its sweeping coverage of military, political, economic, and social issues and subjects, there's something new for scholars and interested readers of all stripes. This is the best Texas Civil War essay compilation I've encountered. Highly recommended. * Grear is working on a book length treatment that will do just that, titled Fighting Alongside Confederate Indians: A History of Gano's Brigade in the Civil War (McWhiney Foundation Press, forthcoming). Frazier: "Fire In The Cane Field: The Federal Invasion of Louisiana and Texas, January 1861-January 1863"
Donald S. Frazier's Fire in the Cane Field is the first of a planned four volume history of the Civil War in Louisiana and parts of Texas. Moving quickly through the military and political proceedings spanning the 24 months following the secession of the Deep South, this work takes care of the series's necessary background material [later volumes will cover periods spanning months rather than years], while at the same time detailing Louisiana and Texas military campaigns fought during the nine months following the April 1862 fall of New Orleans. The U.S. army and navy's capture of the Crescent City segues into the book's more substantive focus on the Lafourche District, the rich sugar-producing region roughly bounded by the Achafalaya River on the west and the Mississippi to the north and east. The district was invaded and occupied by the Federal army soon after the capture of New Orleans, a move that inflicted heavy economic damage and freed thousands of slaves months before the formal Emancipation Proclamation. Frazier outlines Gulf Department commander Benjamin Butler's struggle to solve the problem of what to do with these refugee families. However, with the arrival of General Richard Taylor to command the Confederate forces, this Federal occupation would be contested. Frazier relates in sufficient particulars the planning and execution of each side's Lafourche operations, which resulted in the Des Allemands Raid and the fight at Bonnet Carre. The narrative then moves west to the U.S. blockade and capture of Galveston, following as well the reorganization of the Sibley/Green brigade [previously roughed up in the New Mexico Campaign] in Texas. This cavalry unit will play an expanding role in ensuing volumes. With the Confederates preoccupied by the Union threat in Texas, Butler in turn launched a fresh Lafourche offensive, commanded by General Godfrey Weitzel. The battle at Georgia Landing (or Labadieville) routed the Confederates, pushing the southern forces across the Achafalaya at Brashear City and beyond. Butler was recalled, to be replaced by Nathaniel Banks. The book ends with the dramatic Confederate recapture of Galveston on New Year's Day 1863 by a combined army-navy force commanded by John Bankhead Magruder, as well as the anticipated return of the Sibley/Green brigade to the Lafourche. While the tactical detail is more than sufficient, the book's accounts of the above operations are clearly not meant to be definitive in nature. In addition to his own manuscript research, Frazier utilized a synthetic approach, building on fine specialized secondary works created by previous writers1, a repetition of which was properly deemed unnecessary. With contributions to numerous Civil War and Mexican War books, Frazier has established a solid reputation as a cartographer. The two dozen or more maps in Fire In The Cane Field are excellent. Unlike most military studies, there is a proper mix of strategic, operational, and tactical level maps in the book. The operational maps, both lavishly informative and beautiful to look at, are a particular bright spot. Students most in tune with the published literature will find many of volume one's tactical summaries and analyses to be familiar, but more casual readers will likely be exposed to many of these actions for the first time. However, both readerships will likely find Frazier's operational discussions to be composed of fresh ideas and interpretations. Texas and SE Louisiana were not directly connected by rail, but the book demonstrates well the strategic relationship between the two regions, with military operations in one area directly aiding or hindering efforts in the other. For example, the Union lodgement at Galveston pinned down available Confederate forces around Houston, allowing a freer Federal hand in the Lafourche. Fire in the Cane Field is highly recommended, both as a standalone work and as a fine lead in to volume two's focus on the almost completely neglected 1863 Bayou Teche Campaign2. If the demonstrated content quality, lavish illustration, and promising depth can be maintained throughout, Frazier's series will prove to be one of the most exciting and original Trans-Mississippi publishing projects to date. 1 - Among them, book length studies by Edward Cotham (Galveston and Sabine Pass) and Christopher Pena (Scarred By War: Civil War in Southeast Louisiana ). 2 - Thunder Across the Swamp: The Fight for the Lower Mississippi, February 1863-May 1863 is scheduled for a 2010 release. Wagner: "POWDER RIVER ODYSSEY: Nelson Cole's Western Campaign of 1865 the Journals of Lyman G. Bennett and Other Eyewitness Accounts"
The 1865 Powder River Expedition was a three-pronged punitive expedition directed against hostile Indian bands that had been raiding western immigrant trails since the previous year. Brig. General Patrick E. Connor led the western division personally and commanded the operation overall. According to plan, he would establish a fort along the Powder River and await the arrival of the center (16th Kansas Cavalry from Ft. Laramie) and eastern [2nd Missouri Lt. Artillery (temporary serving as cavalry) and 12th Missouri Cavalry] columns. A somewhat controversial choice, Colonel Nelson D. Cole, the 2nd's commander, would lead the eastern division from Omaha, Nebraska Territory. All three were to meet near Bear Butte in Powder River country, the last reported concentration of hostile Indian camps. In the end, it would be an expensive and rather fruitless affair. David E. Wagner's Powder River Odyssey is a day-by-day annotated history of the eastern division's campaign, closely following the trek of Col. Cole's command as it wound its way through hundreds of dusty miles across Nebraska, the Dakota Territory, and Montana. Cole's men indecisively battled large numbers of Indians in early September before the serious lack of supplies forced a withdrawal to Ft. Laramie, the command having never achieved the planned link up with Connor [although it did meet up with the 16th Kansas]. Wagner's own fine narrative is enhanced immeasurably by the integration of the writings of three participants -- the diary of civilian chief engineer Lyman G. Bennett, the journal of 12th Missouri Cavalry Lt. Charles H. Springer, and the reports of Cole himself. Bennett provides by far the most vividly detailed picture of the physical landscape traversed and the expedition's logistical difficulties and military encounters. Many other manuscript sources, as well as a variety of published primary and secondary source materials, were used to flesh out the campaign history. There is analysis, as well. Wagner acknowledges the inexperience and indecisiveness that characterized Cole's personal leadership, but argues convincingly that the literature's judgment of the officer as a complete incompetent is largely undeserved. The expedition was poorly planned from the beginning, with the columns too widely separated and no date set for their meeting. Cole had by far the farthest distance to travel, yet he was badgered by superiors into setting out before he could assemble enough supplies. This proved almost disastrous, as the command had to be placed on severely reduced rations during the campaign's most critical period and several men died of scurvy along the way. In researching the book, Wagner personally traveled Cole's route, and his fifteen maps are a vitally important aid to the reader. An appendix further discusses the author's methodology, as well as some of the popular mythology surrounding the expedition [the other appendix is a casualty list]. What's missing are more detailed tactical scale maps of the September fighting against the Sioux, Arapaho, and Cheyenne along the Powder River, but Wagner did thoughtfully include a fine looking set of personal and archival photographs. A visual record of many of the most prominent locations mentioned in the text, these latter reader aids are very helpful. Powder River Odyssey is a skillfully written and compiled history of the eastern division of the Powder River Expedition. Documenting the military's transitional period from a Civil War volunteer force back to the professional army that finally conquered the plains, Wagner's study is also a significant contribution to the literature of the U.S. army's role in the rapid western frontier expansion of the mid to late nineteenth century. Recommended. 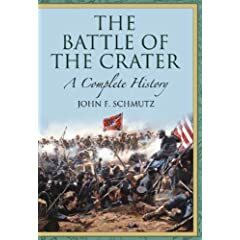 Schmutz: "The Battle of the Crater: A Complete History"
There exists no great shortage of books and articles written about the horrific July 30, 1864 Battle of the Crater, but it's safe to say none are remotely comparable to John F. Schmutz's recently published study. To say a narrative is "detailed" is an oft overused description, but the sheer amount of data contained within The Battle of the Crater: A Complete History fairly demolishes our conception of just what constitutes the informational extremes of microtactical battle histories. At first glance, 350 pages of main text is not terribly unusual, but this book's large trim size and densely packed small print would comfortably fit inside a more typical arrangement of twice that length, or more. The author's recounting of events leading up the the battle, including the early attacks on Petersburg and the Deep Bottom diversion, is helpful in presenting to the reader the strategic and operational circumstances that led to the hatching of the mine scheme that appeared so promising on paper. Schmutz's apparent knowledge of the layout of the ground, and how very specific terrain features would affect the conduct of the battle, is impressive. One of the book's finest passages in this regard is its analytical tactical discussion of the placement of the Confederate artillery in the area surrounding the target salient. 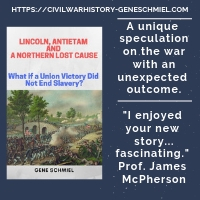 The centerpiece of the study is the battle narrative, which is equally balanced between Union and Confederate perspectives (from commanding generals on down to private soldiers). Schmutz's presentation of Ambrose Burnside's IX Corps attack and the Confederate response unfolds methodically. First person accounts are interspersed throughout, and the astonishing brutality of the close quarter fighting is effectively conveyed. Of course, it is well known that the Crater offensive involved a significant use of black troops [Edward Ferrero's 4th Division of IX Corps] by the Army of the Potomac, and the author does a fairly good job of describing the range of circumstances (ideological and tactical) that led to much no quarter combat between the two sides. While history generally accords Burnside the lion's share of the blame for the fiasco, Schmutz is especially critical of Army of the Potomac commander George Meade's meddling with the attack's tactical arrangements (including the infamous decision to replace Ferrero's prepared, but inexperienced, unit with a white division) and his global lack of support. Burnside's many failures*, along with those of his division commanders, are certainly not overlooked, but the author's reasoned criticism of Meade's actions, while not broadly original, is documented and analyzed here to a degree not found elsewhere. I do have several issues with the book's content and presentation. The text very much needed more editing. Typos in the form of misspelled names, incorrect word usage, etc. abound to an alarming degree for a finished manuscript. Additionally, while most of the writing when viewed in isolation is really quite vivid and effective, the narrative does not transition smoothly, with ideas and passages too often repeated. The cartography is another major weakness for a study of this type. The original maps are far too small, forcing them to be presented at an organizational scale (most commonly brigade level) not adequately matching the text's minutely detailed recounting of regimental movements and battlefield positions. Additionally, the inclusion of some operational scale maps would have been helpful in gaining a fuller understanding of events leading up to the battle, as well as providing more precise locations of supporting units. Examination of the bibliography and notes reveals a most satisfactory amount of original research and appreciation of the secondary literature. Four appendices were included, providing an order of battle, casualty numbers by regiment, and listings of union officer casualties and Medal of Honor/Confederate Roll of Honor recipients. There are also many fascinating passages in the explanatory endnotes. It's probably safe to say this book will receive very mixed reviews, as it is of a type especially vulnerable to varying critical concerns about just what makes a modern Civil War book worthwhile. However, while the work exhibited in The Battle of the Crater does have its flaws, I would not wish to begrudge overall praise for Mr. Schmutz's painstakingly researched contributions to our understanding of the command level decision making and small scale tactical details of the battle. There are high points of military analysis, as well. While the book's price and sheer density and volume of information presented will likely keep away the casual reader, dedicated students will benefit from reading this study [for reference, at the very least]. In constructing a strictly military record of the Crater battle, I can't imagine a future publication exceeding the depth of detail offered by this one. * - Ambrose Burnside's initial plan involving the 4th Division as the attack's spearhead was good, but his improvisation in the face of Meade's last minute changes was bungled. Burnside was either too vague in his orders or unable to make himself understood (or more likely 1st Division commander Ledlie disobeyed or misinterpreted orders) that the lead division was to continue on past the breach. The IX Corps commander also failed to clear the obstructions from his lines preparatory to the attack, funneling the primary attackers and support columns through a narrow passage to the front. He also deprived his troops with the means of removing his own and the enemy's obstructions. Finally, he allowed all the supporting columns to plow into the rear of the ones that came before, creating an inextricable mess at the point of attack. 1. Jayhawkers: The Civil War Brigade of James Henry Lane by Bryce Benedict (U. of Oklahoma Press, 2009). The first modern scholarly history of the eternally controversial Lane Brigade (there's actually another in the works), this might prove to be one of the more groundbreaking studies to be published this year. 2. 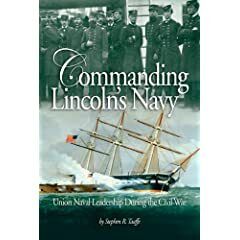 Commanding Lincoln's Navy: Union Naval Leadership During the Civil War by Stephen R. Taaffe (Naval Institute Press, 2009). On the surface, this book looks similar in coverage to Symonds's Lincoln Prize co-winner Lincoln and His Admirals, but my initial impression of the impact of Taaffe's scholarship and writing is more favorable. 3. Sherman Invades Georgia: Planning the North Georgia Campaign Using a Modern Perspective by John R. Scales (Naval Institute Press, 2006). This is a book with a very unusual, but interesting, non-narrative approach to conducting a decision analysis of Sherman's Atlanta Campaign. Written by a retired general, it uses modern planning techniques designed for army officer training, but is also intended for more general consumption. Publishers: The Arthur H. Clark Co. According to their home page, The Arthur H. Clark Company has been publishing western themed titles since 1902. Today, they are an imprint of the University of Oklahoma Press. Several titles from their Frontier Military Series may be of interest to readers of Civil War era books. The most recent FMS release is last month's Powder River Odyssey: Nelson Cole's Western Campaign of 1865 the Journals of Lyman G. Bennett and Other Eyewitness Accounts by David E. Wagner (March 2009). My review will be posted in the near future. I've also skimmed loan copies of two backlist titles from the same series covering Indian conflicts during and surrounding the Civil War years. I think both are worth owning someday (especially the first). * Guarding The Overland Trails: The Eleventh Ohio Cavalry In The Civil War by Robert Huhn Jones (2005). Jones is probably best known to Civil War readers or bibliography trackers from his book The Civil War in the Northwest: Nebraska, Wisconsin, Iowa, Minnesota, and the Dakotas , published way back in 1961. * Regulars in the Redwoods: The U.S. Army in Northern California 1852-1861 by William F. Strobridge (1994). This study details the army's struggle to maintain peace between the white settlers and the Indians of northern California in the decade preceding the Civil War. A short chapter at the end deals with the series of military operations underway at the time of the firing on Fort Sumter. The books from the series, at least these three that I've seen, are bound in handsome blue cloth with gold foil stamped spines (and sometimes front covers).